The Robert E. Webber Institute for Worship Studies is the only school in North America dedicated to graduate education in worship. Our mission is to form leaders in worship renewal. Pastors, music ministers, worship leaders and teachers from over 40 denominations have enrolled in our degree granting programs that are academically sound and highly applicable. Each course is based on the conviction that authentic worship is rooted in the biblical narrative, draws from the rich treasures of Christian history, and is committed to glorifying God in the postmodern context. IWS combines the best of distance education with on-campus classes through which we focus on building an intentional learning community. The result is an applicable and stimulating graduate education. The church in the beginning of the twenty-first century has demonstrated a significant need for servant leaders who are willing to be used by the Lord as catalysts for worship renewal in their local congregations, schools and communities. Essential to these emerging leaders is the understanding that renewal happens most effectively in the framework of ongoing community formation. IWS has been uniquely established to develop such leaders and to help them connect their studies and their on-campus experiences to their own places of ministry. Our alumni, students and faculty are truly impacting the church through invigorated worship practices and education rooted in solid Biblical, theological and historical reflection. At IWS, we feel that it is our responsibility to facilitate the creation of an academic community which enables our students to acquire a practical, applicable education of the highest quality. Consequently, we seek to serve the students, faculty, and staff by engendering a strong communal ethos. This process of community development is energized and reinforced through worshiping, studying, eating, fellowshipping, and ministering together during our on-campus sessions. During the year interaction is maintained via the website message boards, e-mails, and even phone calls and regional fellowship groups. Through the employment of an overall philosophy of servant leadership, we want to help make the student’s educational experience as satisfying and pleasant as possible so that the maximum benefit may be received through study, practicums, and fellowship between students and faculty. Our priority is to provide our students with the communal context in which they may have an enriching, stimulating, practical and impacting academic experience. May the Lord richly bless your endeavors at IWS. 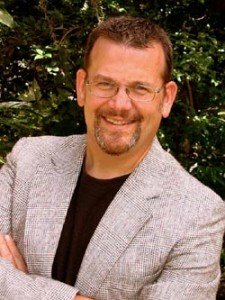 Jim Hart serves as the President of the Robert E. Webber Institute for Worship Studies. Dr. Hart was a member of the first IWS doctoral class, the Alpha class, and served as Dean of Students during his matriculation. After graduating from IWS, Dr. Webber appointed him as the Dean of Administration, and then Provost in 2006. In June of 2007 he was inaugurated as the second president of IWS. Jim holds a B.M. in Sacred Music from Oral Roberts University, an M.M. in Trumpet Performance from the University of Tulsa, and a D.W.S. from the Institute for Worship Studies where he graduated with the Alphas—the first graduating class—in 2002. He was critical to the formation of IWS in Florida and has held administrative responsibilities since its inception in 1999. He is a professional trumpeter, choral director, and a published composer/arranger, songwriter and author. He has served in church music ministry for approximately 40 years, including his current position as Choir Director at Grace Anglican Church in Fleming Island, FL. Dr. Hart and his wife, Carol, have three daughters.